It seems that the team at the STX France shipyard is working on overdrive for Celebrity Cruises' newest ship. Celebrity Edge's construction is so far ahead of schedule that the cruise line has added an additional inaugural cruise in front of the original one, which will be on December 9, 2018. The seven-night maiden voyages will be one eastern Caribbean and one western Caribbean itinerary. Guests may also opt for a longer adventure and book the sailings back-to-back for a 14-night journey. Maiden Voyage West departs from Fort Lauderdale on December 9 and visits Key West, Costa Maya, and Grand Cayman. Maiden Voyage East is the same previously announced sailing, which departs Fort Lauderdale on December 16 and visits San Juan, Tortola, and St. Maarten. 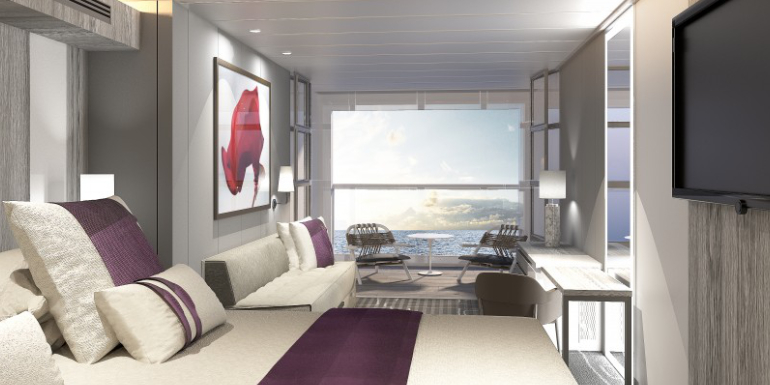 In addition to the maiden voyages, Celebrity Cruises will also be offering four Edge Preview Sailings. The three-night Bahamas cruises will sail from Fort Lauderdale and the first-ever sailing will be on November 21, then three more on November 24, December 3, and December 6. 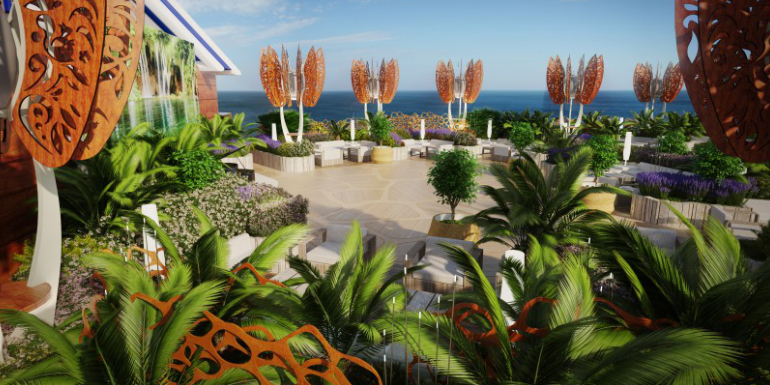 Celebrity Edge is a completely reimagined cruise ship from Celebrity, and has been designed so that guests feel closer to the ocean and nature. The ship offers Edge Staterooms with Infinite Veranda, which turns guest cabins into a seamless space all the way to the outdoors. The verandas are open-air to the room with the touch of a button, creating a space that isn't cut off from the outside by a heavy door like most cruise ship balconies. The ship will also have double the normal amount of suites, including two new categories: 2,600 square-foot Iconic Suites above the ship's bridge, and split-level Edge Villas with private plunge pools. The most striking feature on Edge will be the Magic Carpet; a space cantilevered off the side of the vessel which will serve multiple purposes depending on the deck it's on. On the 16th deck, it will be a specialty restaurant for 90 guests. On lido, an expansion of the pool area and on another, an extension of one of the specialty restaurants. Lastly, at its lowest position on deck 2, Magic Carpet will be a luxury embarkation station where guests will take off on sleek Edge Launches. The ship will also offer the Rooftop Garden with games and activities by day, and music and a movie-and-meal pairing at night. Eden, an almost 7,000 square-foot space, is one of the ship's shining stars, spanning three decks with more outward-facing glass than any other room at sea. By morning, guests can relax with yoga or a book and some coffee in the plant-filled space and watch the world go by. In the afternoon, there are fun classes and seminars, as well as live music and aerialist performances. When the sun sets, Eve at Eden begins, where the Eden Restaurant will delight travelers with a choreographed series of culinary temptations. The Eden Bar is also on hand for hand-crafted cocktails made with fresh ingredients. To learn more about Celebrity Edge, check out the video below. Would you consider sailing on Celebrity Edge?